I know what you must be thinking after my last few posts… Did she sell her sewing machine and cast out her magnetic pin cushion to the dark night? 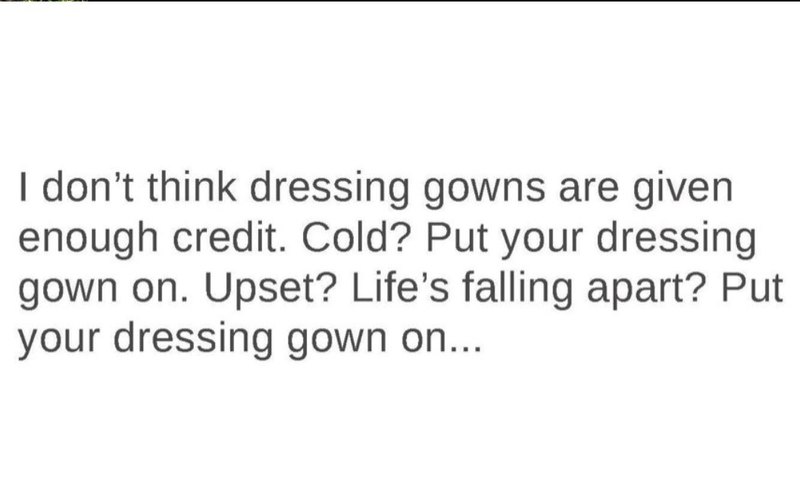 And no one would blame you for thinking it. I have had a couple of weeks sans sewing, but over the holidays I decided that I really wanted to do some slow sewing, not rushing to have something ready for some event or other. So the most recent make has taken a couple of weeks to finish and photograph. 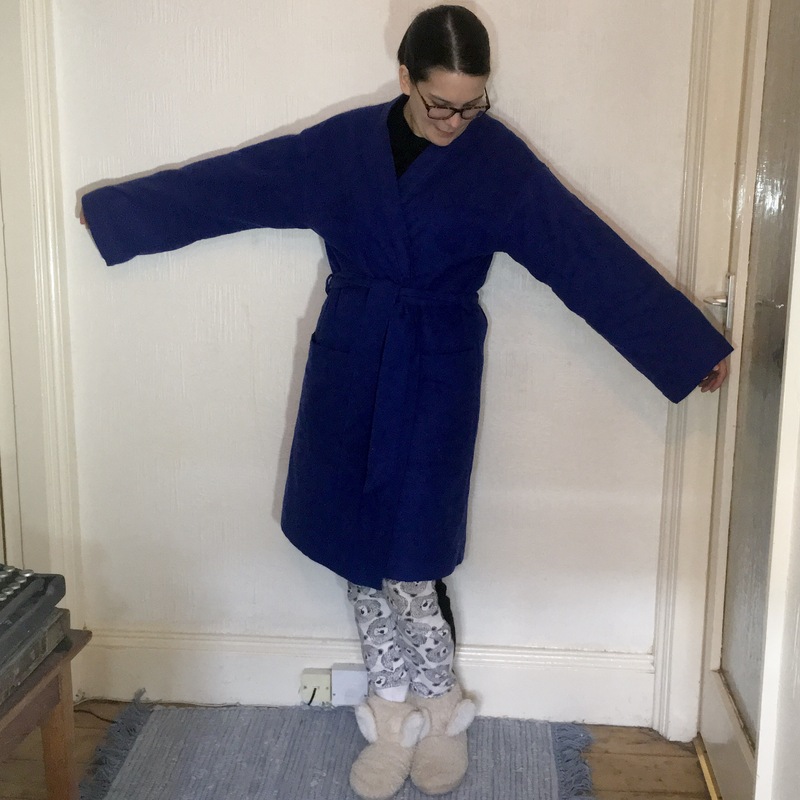 This lovely piece does feed into my recent obsession for comfy and warm clothes… I guess at the moment I need comfort more than anything else (the weather isn’t helping). 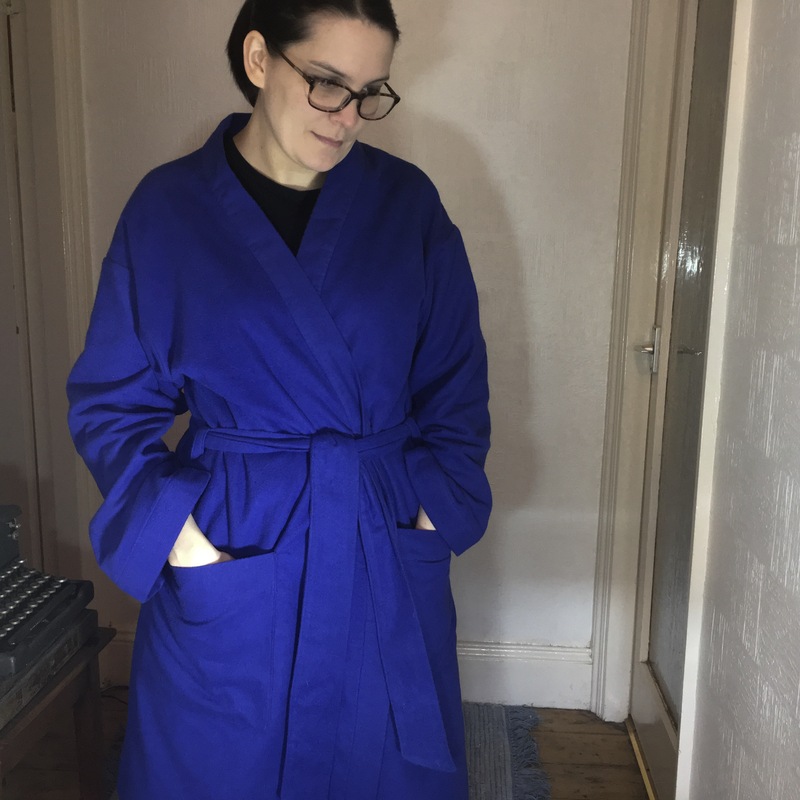 So I decided that i needed that irreplaceable item in the British wardrobe… the humble dressing gown. 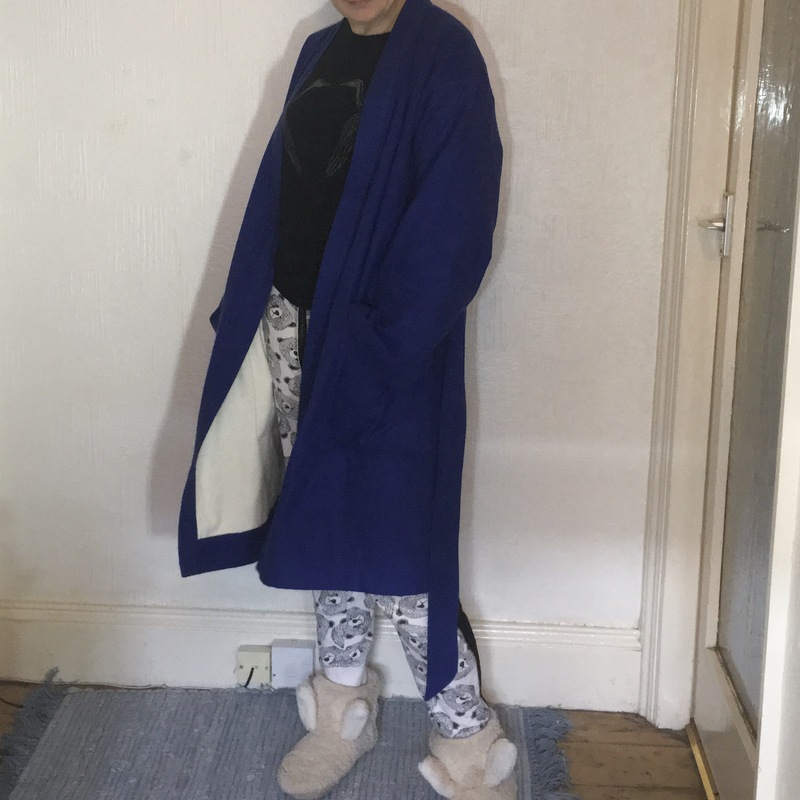 There’s everything you need in there, plus it’s unisex so if I’m asked nicely I could make it for the fella too (though he already has a lovely cosy dressing gown). I decided a brushed cotton would be a good idea, lovely and soft and not too warm to be useful in summer too. I did double up the cotton in the body and sleeves though, to be useful in the winter too. So here it is! 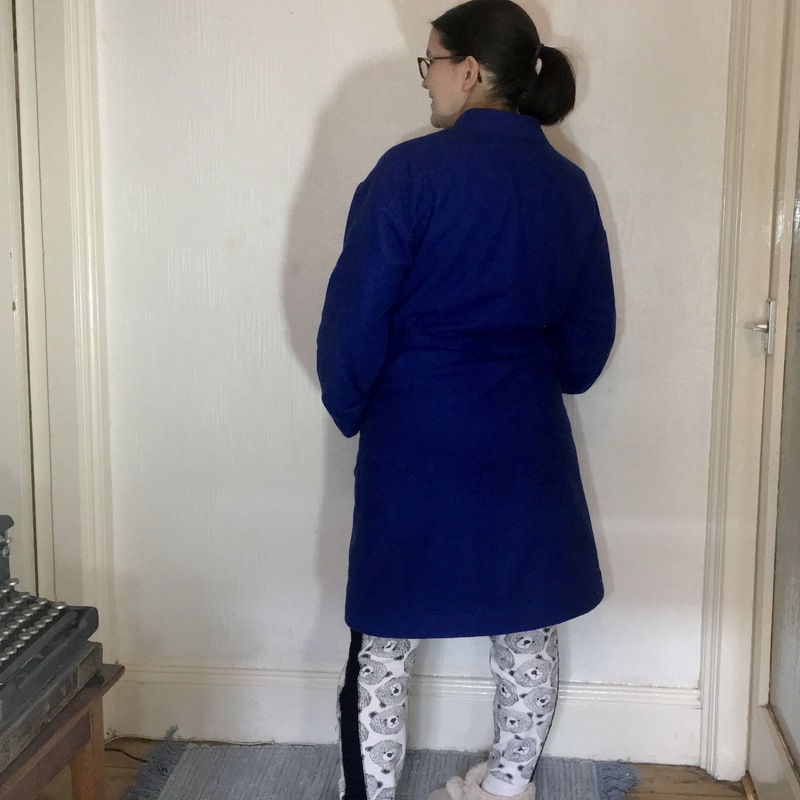 In bad lighting because I didn’t fancy hanging around outside in my lounge wear (a girl has her pride… she also has fluffy bunny slippers). A word on the pattern… it’s huge. 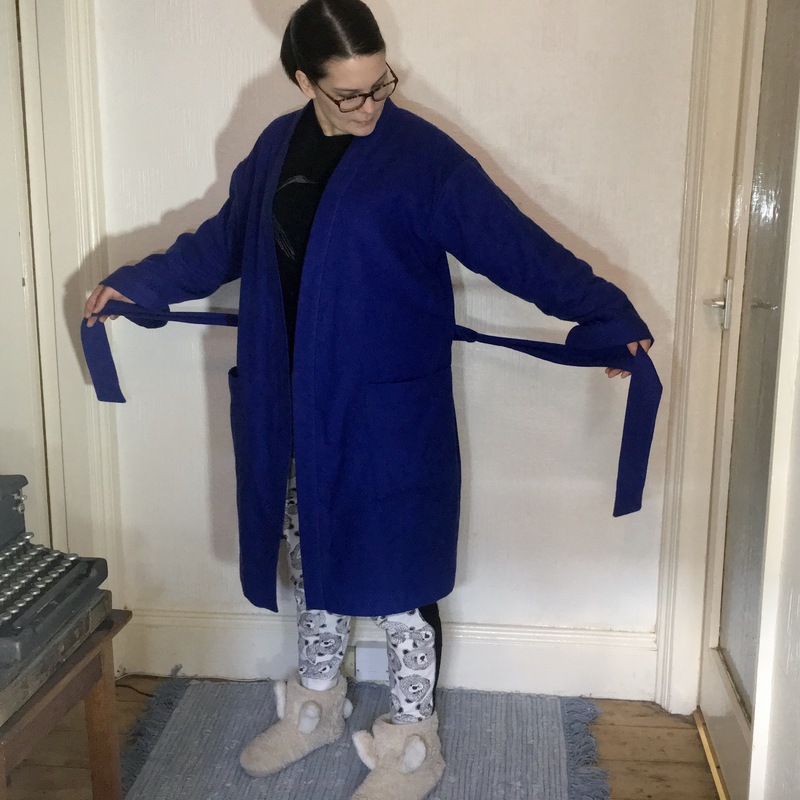 I made this up in a small, but I think an XS might have fit slightly better, but the hugeness does mean extra snuggly. Ha ha… yeah bunny slippers. 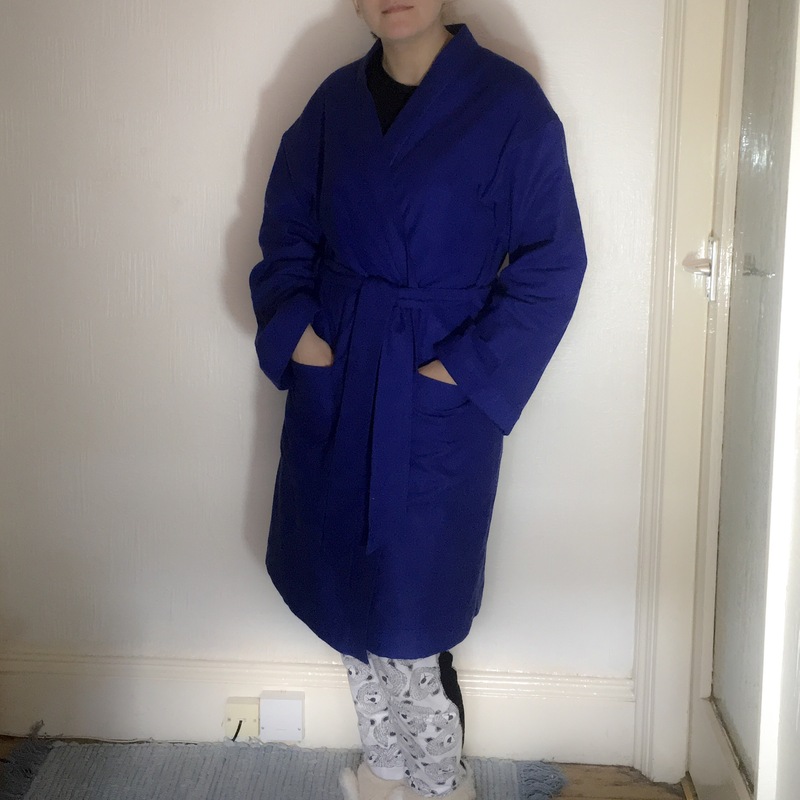 I have discovered that a dressing gown is a strange thing to model for photos… how does one make a giant cosy dressing gown look stylish, it’s hardly a silk kimono now is it. 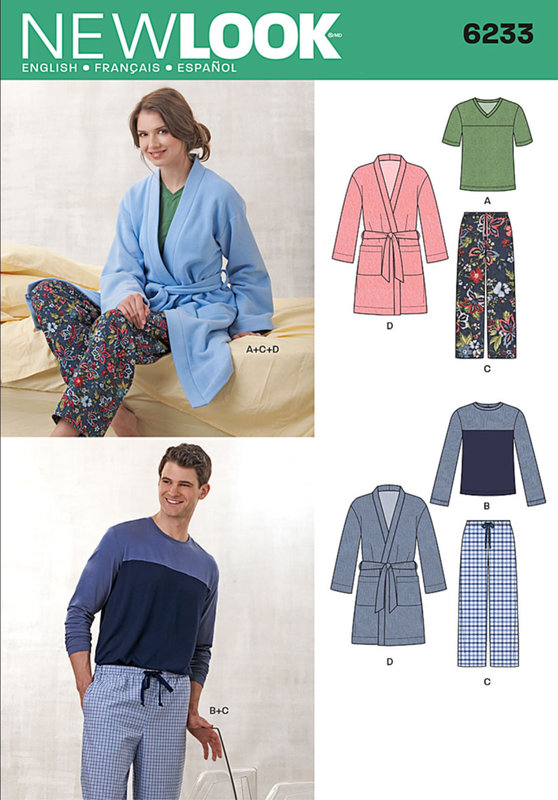 The pattern itself is great, dead easy to put together. Not fantastically detailed instructions.. but there’s pyjamas in that booklet too so I imagine they were trying to save space… anyway, I digress. There were instructions enough to follow any complicated bits, like the bottom hem on the neckband, so it’s all good. I didn’t quite have enough royal blue cotton for the double lining so I acquired a cream to give it a bit of contrast.. I’m still not sure if I like it… but it gives the body a good weight. I also really appreciate the long sleeves and big pockets… who the blazes doesn’t like big pockets?! Size: Small based on chest size, large sizes mean an XS would have been fine too.